Infrastructural development in many regions in Nigeria has suffered great setback seemingly because of the fraudulent practices of representatives of these areas in the upper chamber. This is evident in the embezzlement of funds meant for constituency projects as well as swindling of their constituents by heinously delivering substandard projects which have no direct impact on the lives of those they claim to represent. 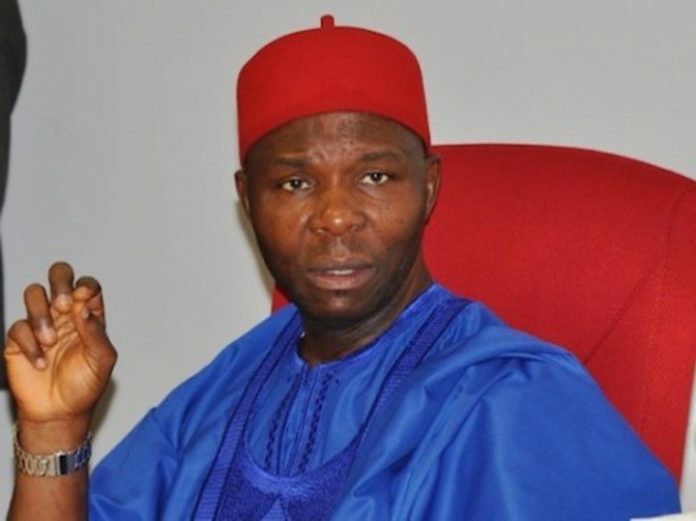 Honourable Utazi Chukwuka representing Enugu North Senatorial District has proven to be among the class of politicians without the interest of his constituents as information gathered by SecretReporters revealed that the Senator who perhaps has an archive on the best ways possible to amass wealth ever since he was elected into office finally found a perfect solution about a year ago as he resorted to buying tricycles popularly called “Keke Napep” and Motorcycles “ Okada” for youths in his constituency as part of his constituency project in other to satisfy his gluttonous appetite to embezzle and loot. The Senator who received over N165,418,000 (One Hundred and Sixty-Five Million, Four Hundred and Eighteen Thousand Naira) as monetary allocation for the execution of the above-mentioned constituency projects in 2017, proceeded to purchase about 50 tricycles at a bloated rate of N1.2million each and 251 Motorcycles at a jaw-dropping price of N418,000 each. Knowledgeable sources who specialize in the sales of tricycles and motorcycles revealed that in a normal setting, a tricycle cannot cost more than N700, 000 (Seven Hundred Thousand Naira) including logistics and when bought in large quantity it can reduce drastically to between N500,000 to N600,000 after many bargains. On the other hand, a commercial motorcycle goes between N150,000 – N200, 000. However, the Senator as his own share of the “National Cake” after receiving the whopping sum of more than N165 million for the purported constituency projects allegedly smiled to the bank with the money realized by subtracting the difference on each of these tricycles and motorcycles, which means he may have pocketed more than N79,000,000 (Seventy-Nine Million Naira) on just two constituency projects as there were other projects which he nominated in the 2017 budget for his Senatorial district. This is a “modern broad daylight robbery” according to our source as the discrepancy on the actual cost of the products from the amount budgeted clearly shows that the Senator does not have the interest of the community at heart and was only using the constituency projects to enrich his personal pockets. It is pertinent to note that the charlatan Senator also nominated N460 million zonal intervention projects in the 2018 budget for Enugu North Senatorial District with N150m for the construction of 8 boreholes, N24m for the construction of 12.5km medium voltage lines and procurement and installation of 300KVA transformer sub-station in Nkpologu, N60m for the construction of 4 solar powered boreholes, N70m for maintenance/construction of Nsukka/Adani road, N60m and N36m for erosion control on the proposed ESUT Adani Campus and Onuiyi Nsukka/Adani road respectively. Calls placed to Senator Chukwuka Utazi’s mobile number 0803722**** to get his reaction as at press time were declined.